Get off the couch and into the auction room – fans of the hit show Sense8 will wanna get ready for this one. In Prop Store’s upcoming sale, props and costumes belonging to the series most beloved characters will pass under the hammer. The fan base has played an important role in the series as Sense8 was first cancelled by Netflix in June last year before we had seen an end of its second season. However, fans protested the decision and, due to this popular demand, Netflix pulled together for the season’s finale. The extra long finale special was released in June 2018. Shot from Sense8's Season Finale, "Amor Vincit Omnia". Photo via Netflix. 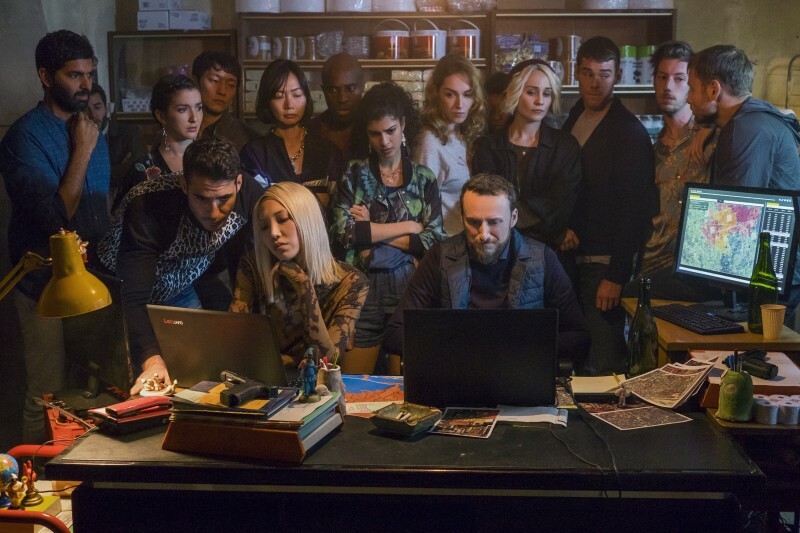 For those not initiated in the world of Sense8, the series takes off with the sudden appearance of a psychic connection, uniting the minds of eight strangers. This connection emotionally links the characters to one another, making them “sensates”. Actor Miguel Ángel Silvestre, portraying Lito Rodriguez in Sense8. Silvestre is wearing the long john currently up for sale at Prop Store. Photo via Netflix. Among the most beloved characters are Lito Rodriguez, one of the series’ sensates. Rodriguez, a gay actor still in the closet, worries that his sexuality might interfere with his acting career: as he mainly does action movies, Rodriguez is concerned that the fact that he’s gay might hold back his acting career in the Macho-dominated field. Anyone who's watched the episode All I Want Right Now Is One More Bullet, from season 2, remembers Lito dressed in a pair of blue long johns almost throughout the entire episode, underlining his depressed state. 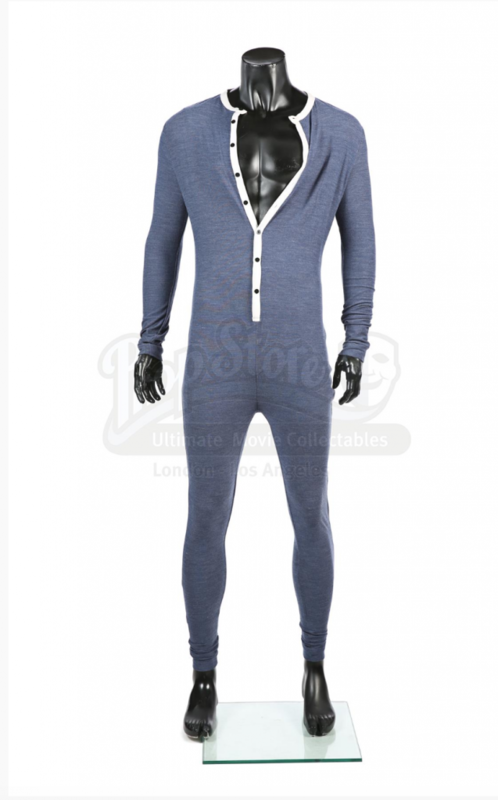 The blue long johns are now up for grabs at Prop Store. Lito Rodriguez's Depression Long Johns. Photo: Prop Store. Next up at Prop Store’s Sense8 sale is Sun Bak’s Training Costume. The lot consists of a pair of maroon shorts and a grey sports bra, along with wrist-wraps and ankle guards. Sun wears the outfit in the fourth episode of the first season while struggling with an impossible choice. Sun is an excellent kickboxer who often resolves to training while occupied with thoughts. Sun Bak's Training Costume from season one. Photo: Prop Store. Because the series was originally canceled before the production team finished the second season, viewers had to wait an entire year for the season’s finale. The last episode, Amor Vincit Omnia, is a two and a half hour long chapter, successfully tying up the series’ loose ends. 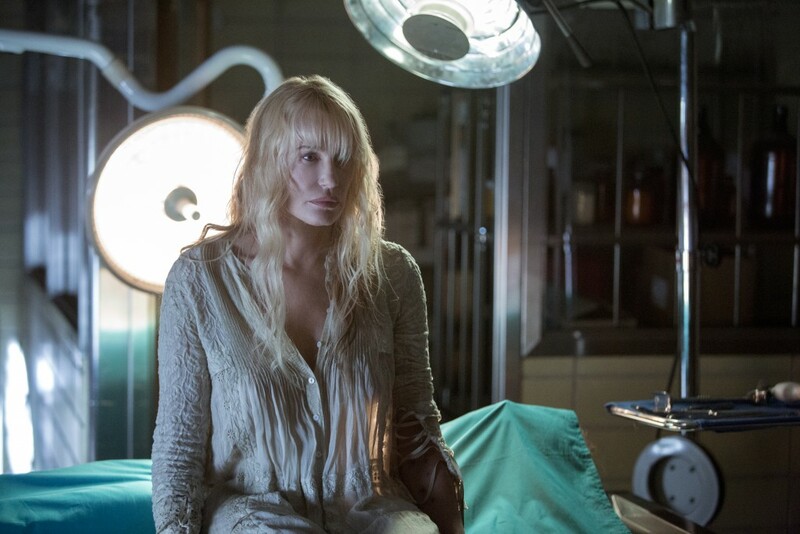 Daryl Hannah as Angelica Turning. Photo via Netflix. Angelica, a major character on the show, had a plan all along to overthrow the sensates biggest enemy, a former sensate called Whispers who turned on his own kind. 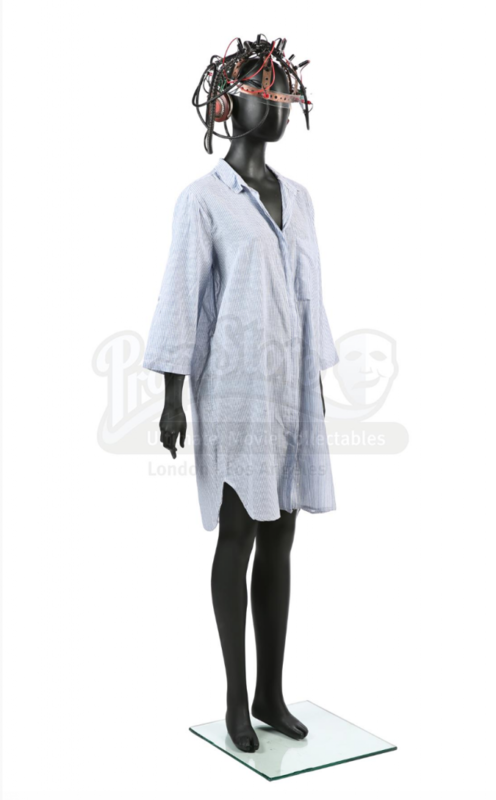 Angelica’s costume from the last episode, which she wears in the lab while trying to connect with the other sensates while infiltrating the enemy quarters, is also up for sale at Prop Store's auction. Angelica Turing's Psycellium Experiment Costume from the series' last episode. Photo: Prop Store. Prop Store’s upcoming sale is full of exciting lots, and anyone who’s not in the market for a new costume could instead place a bid on taser guns carried by the series' head antagonist, the BPO company, or the documents the character Will used while planning the rescue of Wolfgang. All lots offered by Prop Store are original and have been used on set, making them coveted among dedicated Sense8 fans. We sensate (pun intended) that this auction will hit the roof. You’ll find Prop Store’s entire range at Barnebys.